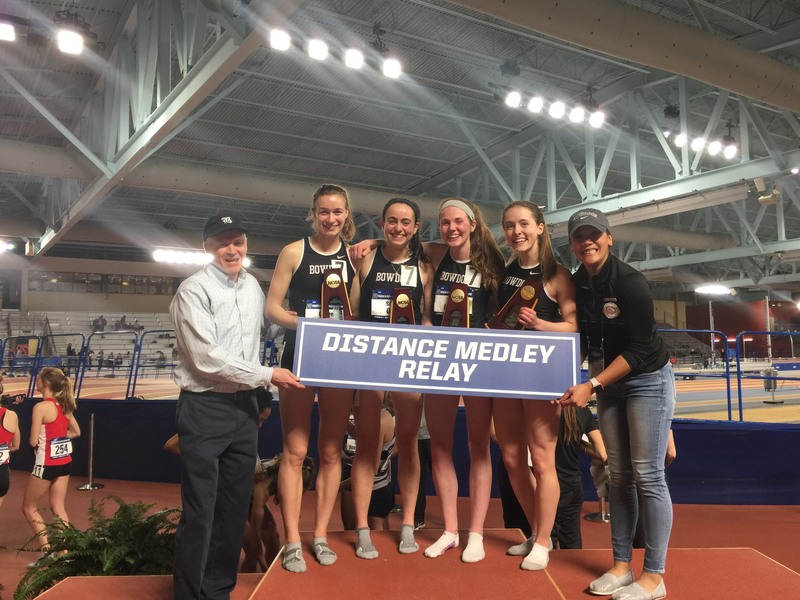 SLIDING INTO THE DMR’S: Claire Traum ’21, Sara Ory ’19, Sarah Kelley ’18 and Caroline Shipley ’20 won the distance medley relay at the NCAA Division III Indoor Track and Field Championships last month. Caroline Shipley ’20, Sara Ory ’19, Claire Traum ’21 and Sarah Kelley ’18 won the first place crown by 20 meters. This is the first crown that the Polar Bears have won at Indoor Nationals since 2014. “Going into it, we knew that it was going to have to be a ‘leave everything on the track’ kind of race and to have everything click in place and have everyone give it their all was an amazing feeling,” said Kelley, who is a captain for the team. The men’s side of the track and field team was also well represented at the Indoor Nationals. The men’s distance medley team—composed of Ben Torda ’18, captain John Kennealy ’18, Conor Donahue ’18 and Sean MacDonald ’19—finished in 10th place. Additionally, Brian Greenberg ’18 finished in seventh place out of 15 competitors in the triple jump competition. “We were hoping to send a lot of people to Nationals, and we sent even more people than we thought we would,” said Kennealy. The track and field teams seek to carry their success from the indoor season into their outdoor spring season. They were supposed to open their spring season by hosting the Bowdoin Track Invite at the Magee-Samuelson Track; however, the meet was canceled due to the amount of snow still on the track. 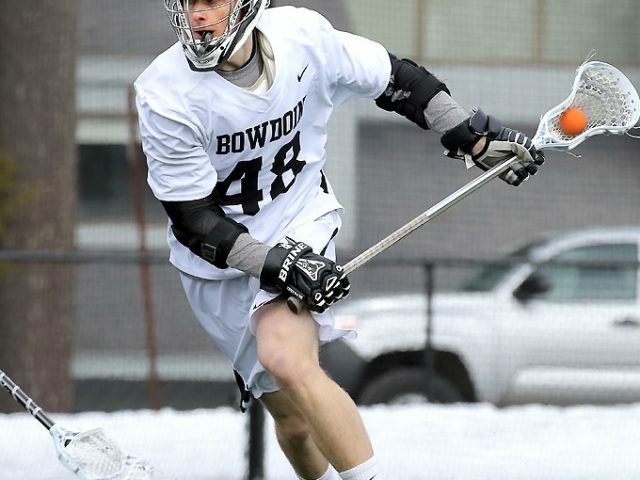 Instead, Bowdoin will travel to Northampton, Massachusetts to compete in the Smith Invitational. The teams are determined to prevent the change in plans from throwing them off course. “Spring weather is very erratic. We know that the early April home meets can be canceled by ice on the track. 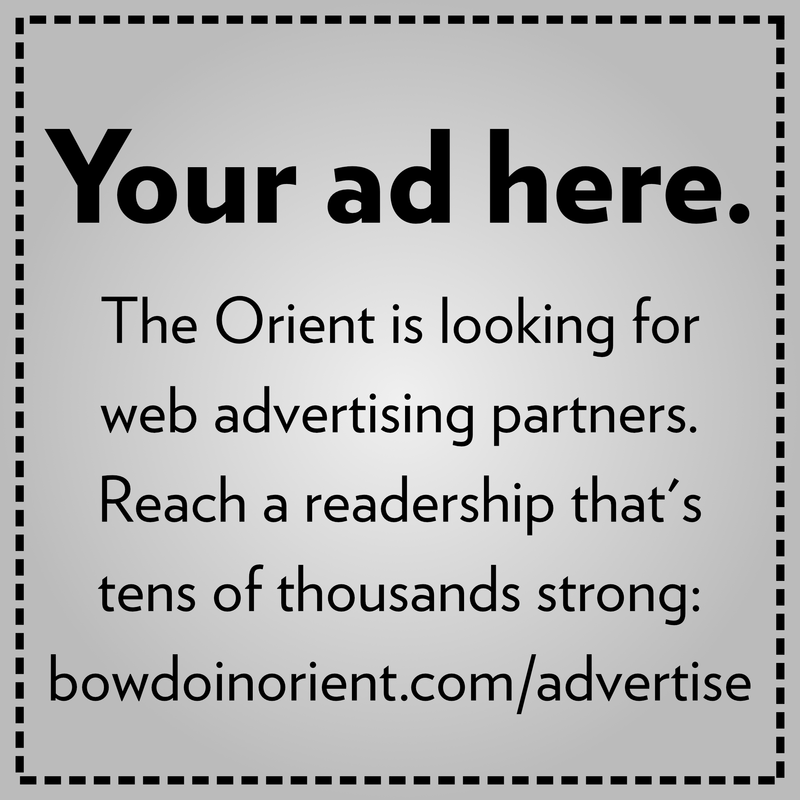 We’ll be ready to switch directions and compete well at Smith,” said Head Coach Peter Slovenski in an email to the Orient. Inconsistent weather conditions are inherent to the outdoor competition in the spring. Stormy weather can influence the scores that are compared between meets to determine qualifications for Nationals later in the season. But it is not the only major difference between the winter and spring seasons. Additionally, the team switches from a 200-meter track to a 400-meter track, with many of the events changing from the winter to the spring. The Polar Bears are excited to embrace these changes because the transition allows the athletes to reset both mentally and physically after a long indoor season. “I think that there is an exciting vibe and energy on the team around the events changing and getting to compete outside again,” said Ory. Both Slovenski and the athletes on the teams have high expectations for their upcoming performances this spring. 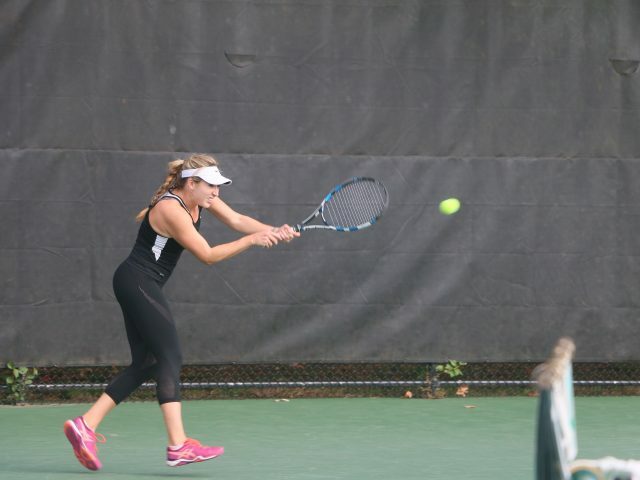 The Polar Bears will begin their season at Smith College on Saturday at 11 a.m.